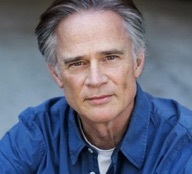 TODD WARING is an actor and writer living in Santa Monica. While in NYC, his first experience in New York was acting in a hit off-Broadway production of JOURNEY’S END, followed by PARADISE LOST with Geraldine Page. On Broadway, he performed with Glenn Close and Jeremy Irons in THE REAL THING. West coast productions include: Andrei Belgrader’s THE KING STAG, DIVA at The Pasadena Playhouse and THE DAY ROOM by Don DeLillo. TV CREDITS INCLUDE: SCANDAL, DESPERATE HOUSEWIVES, COLD CASE, MONK, NYPD BLUE, BOSTON LEGAL, CASTLE and GREY’S ANATOMY. His monologue, ‘I Finally Swore at My Daughter’, can be found in Dani Klein’s book ‘Afterbirth: Stories You Won’t Read in a Parenting Magazine’. 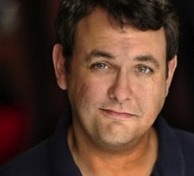 Todd recently performed his solo show, FIVE UNEASY PIECES, at The Hollywood Fringe Festival to great acclaim. MAURA ANDERSON has worked in independent film production since 2006. After training as an actor at the School for Film and Television, she began work at New York based Gigantic Pictures (GOODBYE SOLO, DARE) handling everything from clearances to casting. She left Gigantic a year later to freelance, working as a production coordinator, location manager, production manager and line producer. She has since production managed Academy Award nominated WINTER'S BONE, Berlin's best first feature winner ON THE ICE, Max Winkler's CEREMONY starring Uma Thurman and NIGHT CATCHES US in competition at Sundance 2010. In 2011 she produced WOULD YOU RATHER, which was acquired by IFC Midnight and premiered in North America in February 2013. In 2011 she also began work for Fox Digital as a line producer working on WOLFPACK OF RESEDA. In 2012 she line produced BAD SAMARITANS produced by Walt Becker and produced two seasons of the web series SUIT UP for Fox Digital which played across the internet on Yahoo, Crackle, College humor and later on DirecTV's audience network. It was for this she won an award for producing from LA Webfest. In 2013 she began work as a producer for WIGS (www.watchwigs.com), a YouTube channel conceived by Jon Avnet (BLACK SWAN, FRIED GREEN TOMATOES) & Rodrigo Garcia (ALBERT NOBBS, HBO'S IN TREATMENT) which had recently partnered with Fox Broadcasting. She later worked as the EVP Production for Indigenous Media, a next generation digital studio focused on producing original content for digital and emerging platforms worldwide, as well as developing and operating multi-platform content brands. She made the shift to directing in 2015 when her short The Mess played at the Palm Springs International film market and at Napa Valley Film Festival in the fall. HEARTLAND is her feature directorial debut. It premiered at Cinequest Film Festival in March 2016 and won the Audience Award for Narrative Drama. MICHAEL DALLATORRE gives a raw, edgy, yet sophisticated feel to his cinematography that has branded him as one of the most promising new talents in film. Known in the industry as “Mike D,” this Nicaragua born director of photography has worked with musicians 50 Cent, Chris Brown and Ziggy Marley, actor turned director, Michael Rosenbaum (Smallville) NBA star turned producer, Rick Fox on his feature Hysteria, and actor Kenan Thompson (of Saturday Night Live). Mike D. arrived in the United States at the age of three and grew up in South Central Los Angeles. He decided to use the adversity of his environment to inspire and drive him towards excellence rather than defeat his dreams. Mike D was featured in the Oscar nominated documentary “Colors Straight Up” which followed his participation in the inner city performing arts group, Colors United. It was during the filming of the documentary that Mike was inspired to become a filmmaker. While still in high school he spent many weekends and late nights after school with his older friends in college helping them complete their thesis films. At just eighteen Mike D, was recognized for his talents and promising future with the Beating the Odds Award (presented by Marian Wright Edelman of the Children’s Defense Fund.) After graduating from Jordan High School in Watts, CA , Mike entered programs, Inner-City Filmmakers and went on to study film at Los Angeles Community College. LAUREN CONNELLY is a freelance film editor based out of Los Angeles. Originally from Chantilly, Virginia, Lauren discovered her passion for film editing at a young age and went on to graduate from the prestigious film & television program at The University of Southern California. Her latest credits include multiple series produced by Jon Avnet for the WIGS youtube channel & FOX’s Hulu including: BLUE directed by Rodrigo Garcia, AUDREY, directed by Betty Thomas, and ALLISON, directed by Paul Brickman. Lauren has recently finished the independent feature COLD TURKEY starring Peter Bogdonavich and Cheryl Hines as well as the indie feature THE SECRET PLACE starring Taylor Spreitler, Peter Coyote & Gil Bellows. Her latest feature JACKIE & RYAN, directed by Aimee Canaan Mann and starring Katherine Heigl, Ben Barnes & Clea Duvall will premiere at Venice Film Festival this year. 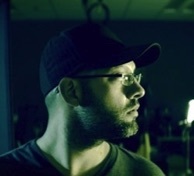 CHRIS FREIHOFER has many notable credits both in front of and behind the camera. He has appeared as an actor on such landmark television series as BREAKING BAD, FRIDAY NIGHT LIGHTS and WALKER, TEXAS RANGER. His feature film credits as casting director and location casting include the upcoming William H Macy-directed RUDDERLESS, Terrence Malick's TO THE WONDER, John Wells' AUGUST: OSAGE COUNTY, Michael Winterbottom's THE KILLER INSIDE ME, David Boyd's HOME RUN and dozens more. His producing credits include the web series THE CELEBATE and the upcoming feature film ELEMENT, starring Michael Ironside and Steven Michael Quezada. He is the former Artistic Director of Stone Soup Theater and is the owner and director of The Actor Factory, a training studio for on-camera actors. He is a member of SAG-AFTRA and the Casting Society of America. JENNIFER WOOD started her production career in Austin, TX where she produced her first Sci-Fi short THE NEXT. From there she moved to Los Angeles and started working behind the scenes in independent film and television, working on shows like FRIENDS WITH MONEY starring Jennifer Aniston, and ABC’s DESPERATE HOUSEWIVES. She discovered her love for documentaries while working as a production executive for five years at Al Gore’s Emmy Award winning CURRENT TV, before returning back to freelance. She then branched out to work in almost every remaining visual medium including web series, music videos, industrials and commercials while working with Fox Digital, WIGS, and Rainn Wilson’s SoulPancake. In 2013 she teamed up with the award winning journalists at Muck Media to Line Produce the Documentary TV Series BORDERLAND for Al Jazeera America. She recently returned to the independent film world to produce the comedy HONEY BUDDIES starring David Giuntoli (GRIMM) and Flula Borg (PITCH PERFECT 2). HEARTLAND will be the 4th time Jennifer has teamed up with Maura after the film WOULD YOU RATHER, Fox’s WOLFPACK OF RESEDA, and Wig’s SUSANNA.